A Tropical Mockingbird, Mimus gilvus, has been spotted on the grounds of the Catholic church in downtown San Vito by Wally Barton. It is slightly larger than a thrush, predominantly gray on the back with white bars on blackish wings, white below, white patches in the wings and tail. Historically this interesting species has had a discontinuous two-part range from Mexico to Honduras and then in northern South America, however, in the 1930s an introduced population was found in Panama. This might explain its occurrence here. The Birds of Costa Rica by Robert Dean and Richard Garrigues suggest this species is becoming established in Costa Rica where breeding pairs have been reliably found in Siquirres and Limon for many years. Reports of sightings have come from disparate locations like Bagaces, Arenal, San Isidro de General and Cartago and a breeding pair has been seen in La Union de Sabalito for the past five years. Closer to home, one or two of them have been visiting feeders near the San Vito Hospital and these (or this individual) may have taken up residence in the church yard. They like open habitats with trees and shrubs so town parks and gardens are ideal. Readily visible, they often perch out in the open on telephone/electric lines or tops of bushes and trees. 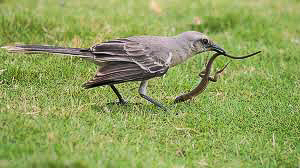 Mockingbirds eat insects, small vertebrates and fruit. Their song is unmistakable: a long musical series of repeated phrases. 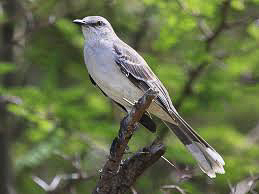 Apparently, unlike Northern Mockingbirds, they do not mimic other species. This entry was posted in Bird Species Report and tagged Birding San Vito, San Vito Bird Club, Tropical Mockingbird by AWOlivieri. Bookmark the permalink.